Rediff.com » Movies » Khushbu's SUPERSTAR life in pictures! Mumbai girl Khushbu started her career as a child artist in Hindi films. She went on to become one of south's top actresses and then politician. As she turns 46 on September 29, we take a look at her superstar life through her Twitter feed. Khushbu has had a successful career spanning over two decades. She has acted in Hindi, Tamil, Telugu, Kannada and Malayalam movies. Khushbu started working at the age of six. 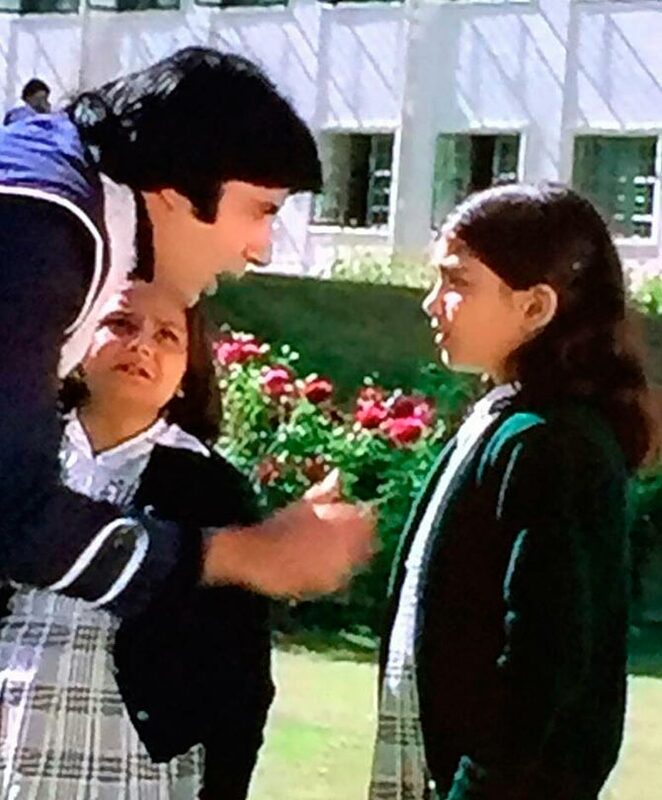 Her first credited role was in Prakash Mehra's Laawaris, starring Amitabh Bachchan, in 1981. The same year also saw her play a part in Tinnu Anand’s Kaalia. IMAGE: Aamir Khan and Khushbu Sundar. Photograph: Khushbu Sundar/Twitter. Khushbu later played the lead in films like Deewana Mujhsa Nahi with Aamir Khan and Madhuri Dixit and Prem Daan with Rakesh Bedi. Both were disasters at the box office. 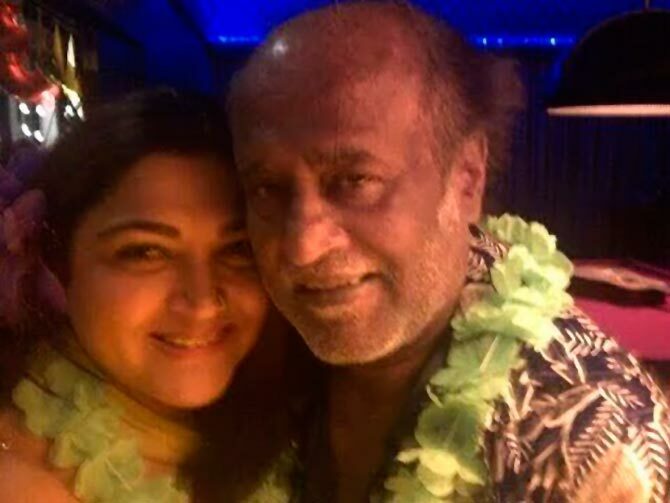 IMAGE: Khushbu Sundar and Rajinikanth. Photograph: Khushbu Sundar/Twitter. Khushbu made her Tamil film debut in the Rajinikanth starrer Dharmathin Thalaivan in 1988. IMAGE: Khushbu Sundar and Venkatesh. Photograph: Khushbu Sundar/Twitter. She has worked in over 100 films with leading actors of south cinema like Kamal Haasan, Vishnuvardhan, Venkatesh (in the picture), Nagarjuna, Ravichandran, Mammootty, Mohanlal, Suresh Gopi, and Prabhu. Khushbu ruled Tamil cinema in the 1990s with a series of hits like Chinna Thambi, Annamalai, Mannan and Bramma. 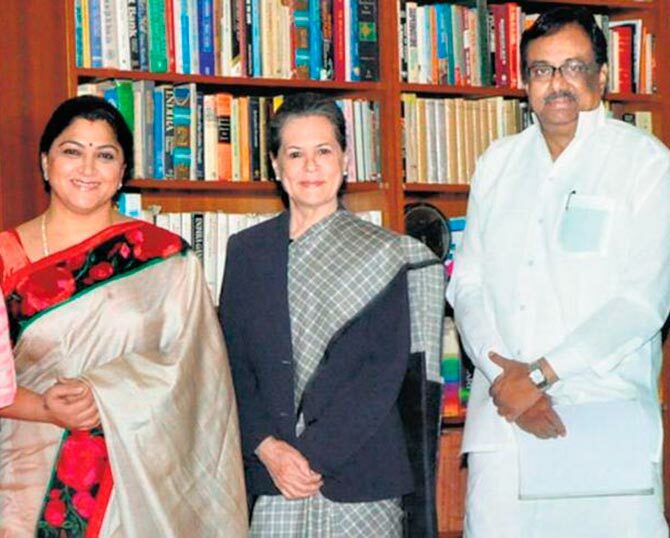 IMAGE: Khushbu Sundar with Sonia Gandhi and TNCC chief EVKS Elangovan. Photograph: Khushbu Sundar/Twitter. Khushbu tried her hand at politics and joined the DMK in 2011. She quit three years later. In 2014, she joined the Indian National Congress after a meeting with Congress President Sonia Gandhi. Khushbu was appointed as the Congress spokesperson in Tamil Nadu. 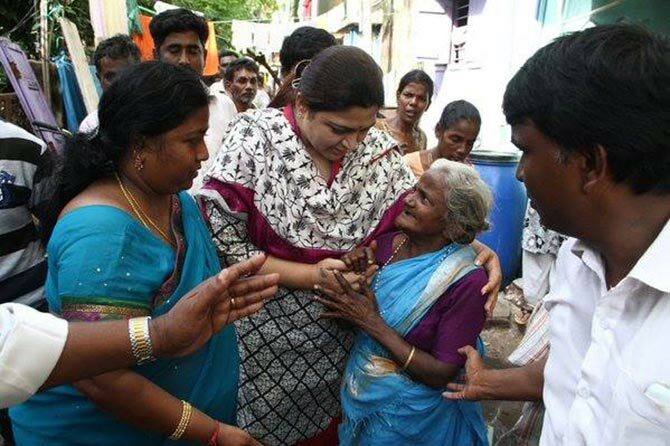 IMAGE: Khushbu Sundar with Chennai flood victims. Photograph: Khushbu Sundar/Twitter. During the Chennai floods in 2015, Khushboo reached out to the victims, offering food and comfort. 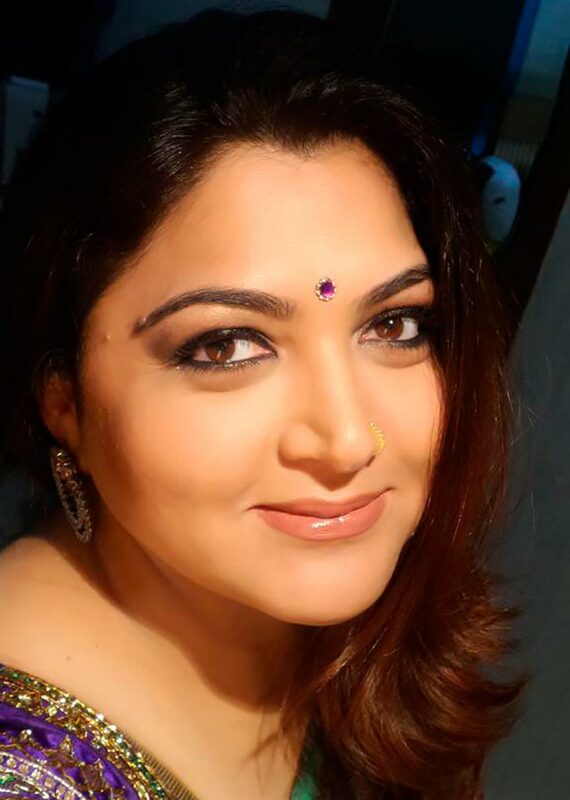 IMAGE: Khushbu Sundar during her wedding. Photograph: Khushbu Sundar/Twitter. Khushbu got married to popular director Sundar C in 2000. 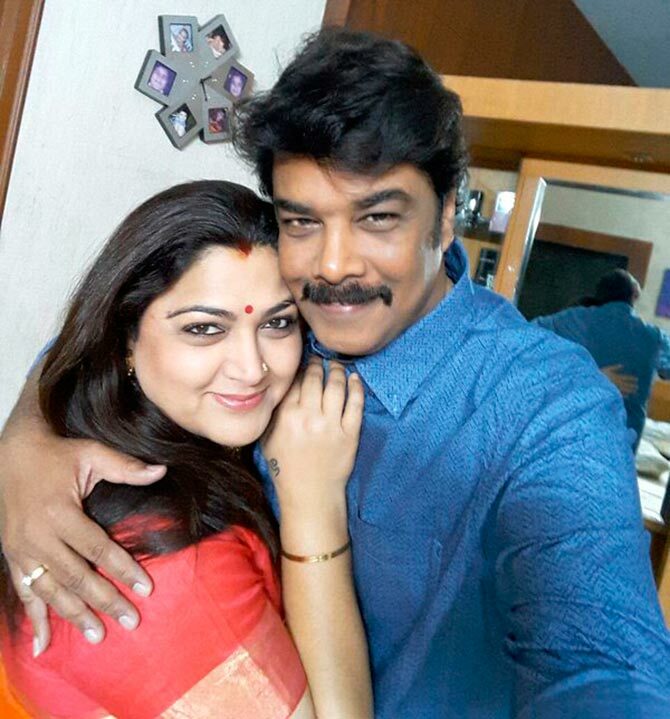 IMAGE: Khushbu Sundar and Sundar C. Photograph: Khushbu Sundar/Twitter. The couple have featured in a film called Vaadaa, featuring Sunder in a lead role. Khushbu made a cameo in it. 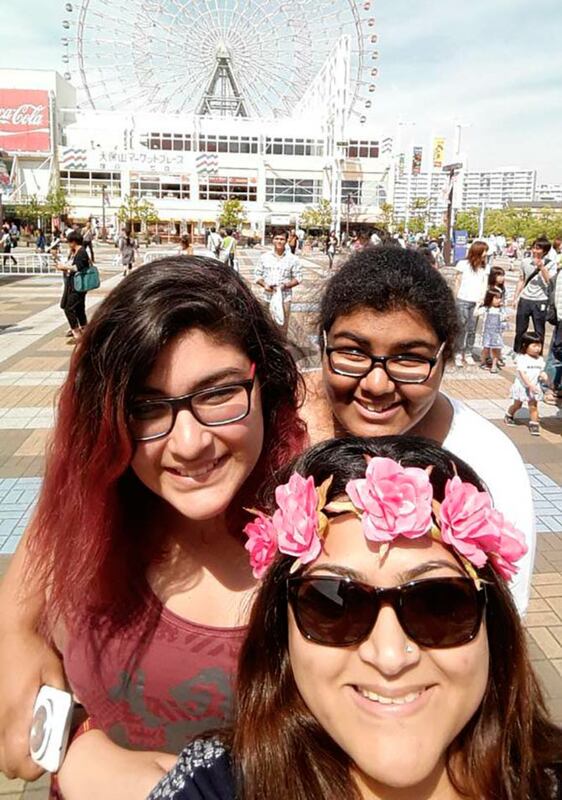 IMAGE: Khushbu Sundar with her daughters Avanthika and Ananditha. Photograph: Khushbu Sundar/Twitter. Khushbu has two daughters: Avanthika and Ananditha.